Both of these photos were taken with a Nikon N8008 35mm film camera. I purchased it around 1989. 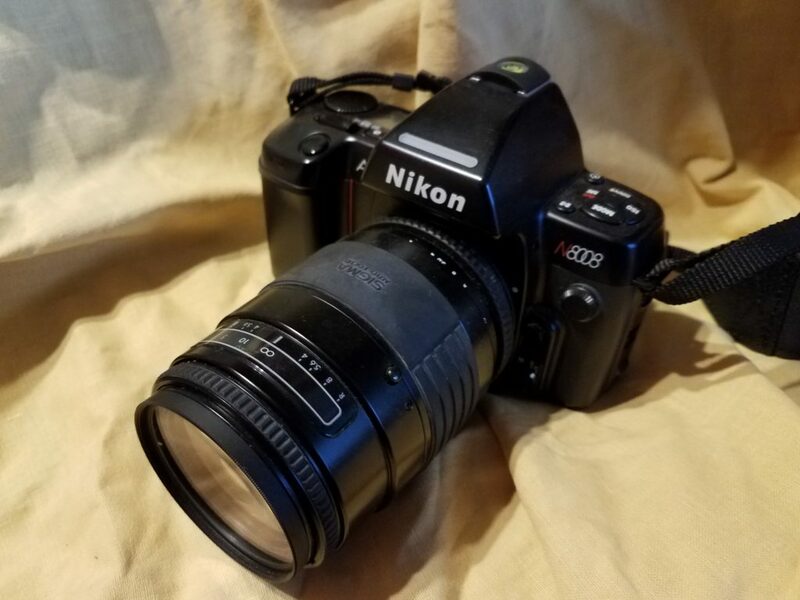 This was my go-to camera for the 1990 / 2000 time frame until I finally felt digital cameras had caught up to a reasonable quality level. I now primarily shoot with a Canon EOS 7D Mark II. These two film photos were both taken back in the film days, in 1996. 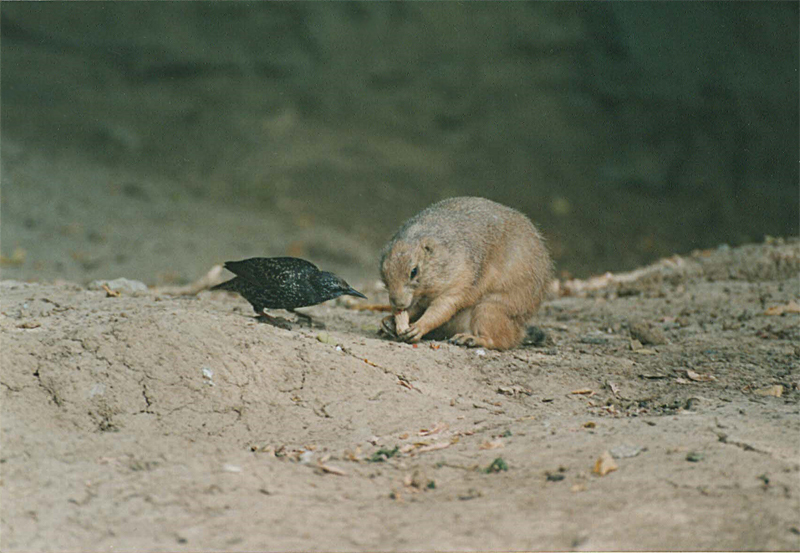 The image of the groundhog and the starling was taken at the St. Louis Zoo in St. Louis, Missouri. There is no Photoshop involved in that image. A friend of mine always joked that if I could catch two animals tussling over food, that would be a great shot. 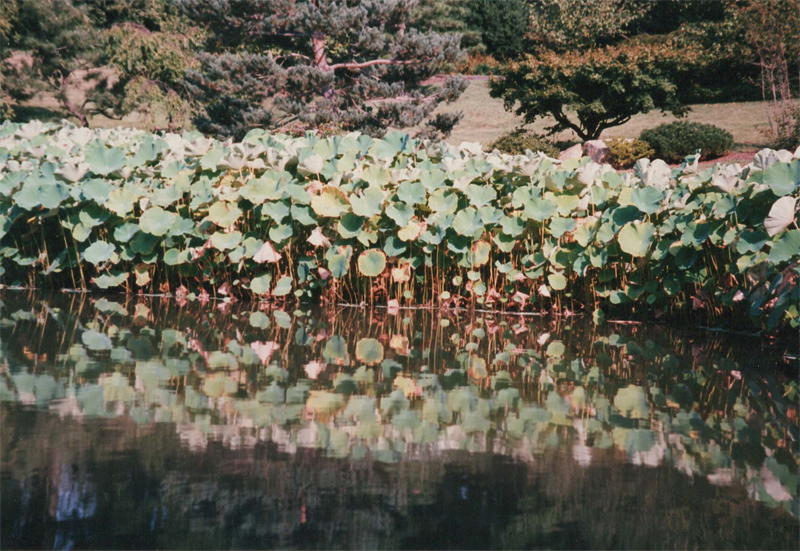 The image of the water plants was taken at the Missouri Botanical Gardens, in their Japanese garden area. 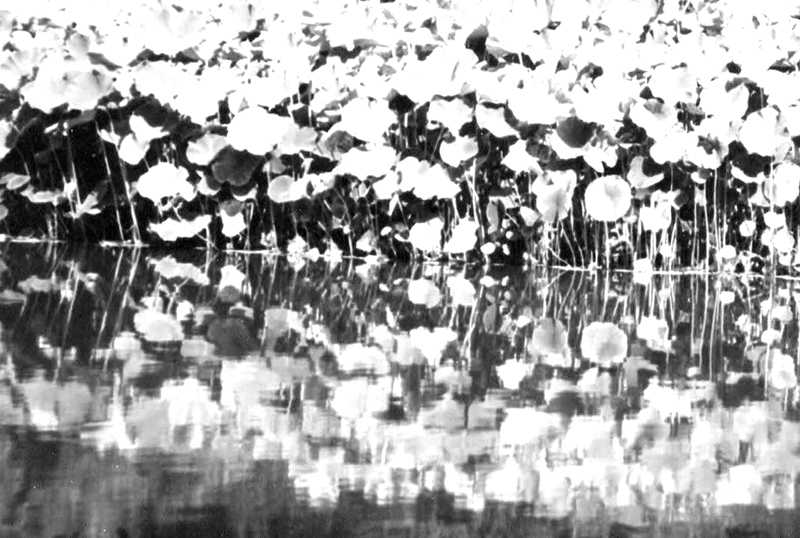 The lotus blossoms and leaves blanket the shoreline along one of the ponds. Inspired by James Hunt’s talk on high key photography, the image was manipulated in photoshop to emphasize the textures of dark and light.